Chengdu International Business & General Aviation Expo 2015 is an Exhibition and Conference dedicated to General & Business Aviation with the main purpose of gathering high-level business leaders, government of officials, decision makers and buyers. We expect more than 100 exhibitors and at least 2500 visitors(buyers and professionals), for about 6000 visits. 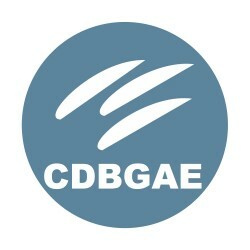 At CDBGAE professionals/visitors have an opportunity to discover products and services from General & Business aviation industry as well as a static display of the aircraft. The expo attracts more than 6000 buyers: Entrepreneurs, Private Buyers, Professional sellers, key Industry decision makers, Pilots, Engineers, Journalists, Officials from Cities, Provinces and Central Government. 1. Meet Buyers from all over China. 2. Meet Delegation of China’s leaders including Officials from Cities , Provinces and Central Government. 3. Become recognized by Chinese General & Business Aviation Industry. 4. Meet the exceptional teams of professionals such as Pilots, Crew members, etc. 5. Meet Professionals from the Financial Industry. 6. Meet the Press and let them get to know you better. Let them promote your company. 1. Members will receive information of general aviation market in China. Meanwhile, you can take part in aviation shows and relevant conferences in China at a discount. 2. Enterprises as members can get one of the following booths for free: Shell Scheme booth (9sq. m. or 18sq. m), Raw Space(36sq. m.). 3.Members who are taking an aircraft can get a parking space for free. 4. Members will get a free promotion by us. Note: The membership is valid within 12 months(Booths will be allocated by CDBGAE committee). The registration online is in progress now. We look forward to your arrival in CDBGAE 2015!